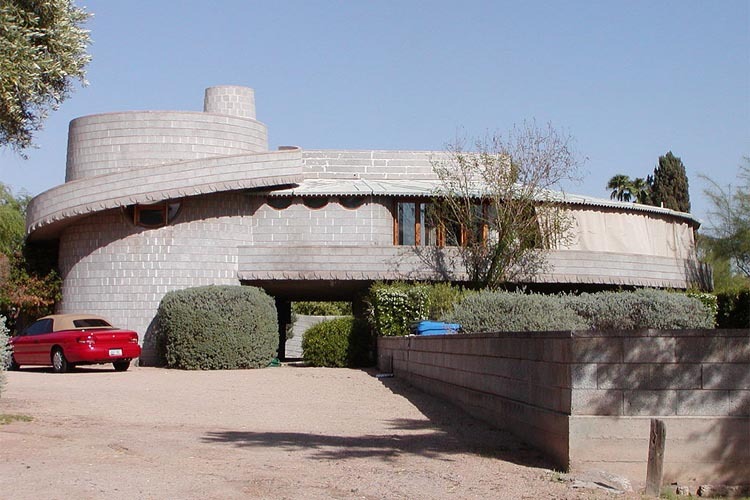 Phoenix, AZ just got an unexpected gift this holiday season; the iconic house Frank Lloyd Wright designed for his son David, which has been under threat of demolition since June of this year, has been rescued once and for all. Just yesterday, an anonymous benefactor closed on the purchase of the house for an undisclosed price and plans to transfer the property to an Arizona non-profit that will restore, maintain, and operate the building for educational purposes. 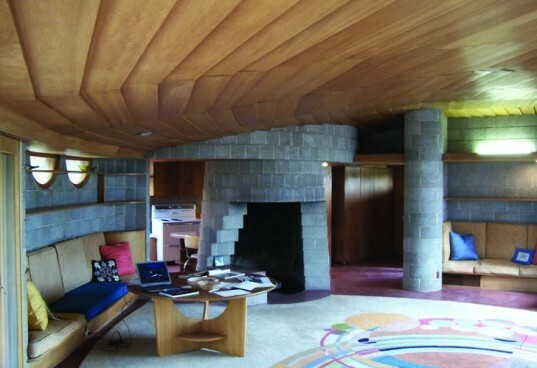 The Chicago-based Frank Lloyd Wright Building Conservancy, which has been leading the fight to save the house from the very beginning, facilitated this transaction. The saga to save the house has been a nail-biter ever since it was purchased this summer by luxury home developer 8081|Meridian, who planned to demolish the house to build two new large houses on the site. The City of Phoenix, local preservationists and concerned citizens came together to initiate a landmark designation on the house to protect it from imminent demolition. However, long-term protection of the house was not assured as 8081|Meridian was dead-set against getting the property designated. The Phoenix City Council is going to vote on the designation, which would protect the house for 3 years, early next year. And now that the new owner of the house is a proponent of the home’s preservation, the vote is expected to be an easy one and the house is certain to receive the landmark designation. Beyond this, the plan is for the property to be preserved in perpetuity through a local nonprofit, which has yet to be named. Saving the David Wright house has been a community effort on a local, national and international level, but the work is not over. Planning has already begun for the restoration of the house and grounds. “More donor participation and community support will be needed to restore the house and to fully launch its new parent organization,” says Janet Hasltead, the executive director of the Frank Lloyd Wright Building Conservancy. Further details about the new ownership, the local non-profit slated to oversee the house, and upcoming plans are expected to be announced in January.